مملكة كرباڤا (بالكرواتية: Bitka na Krbavskom polju؛ بالمجرية: Korbávmezei csata؛ بالتركية: Krbava Muharebesi؛ بالإنگليزية: Battle of Krbava Field) نشبت بين الدولة العثمانية في عهد بايزيد الثاني وجيش من مملكة كرواتيا، التي كانت آنذاك في اتحاد شخصي مع مملكة المجر، في 9 سبتمبر 1493، في حقل كرباڤا، الذي هو جزء من منطقة ليكا في كرواتيا. القوات العثمانية كانت بقيادة يعقوب پاشا الخادم، سنجق-باي سنجق البوسنة، والجيش الكرواتي كان بقيادة إمريك درنچين، بان كرواتيا، الذي خدم تحت الملك ڤلاديسلاوس الثاني ياگ‌يلو. وقبل ذلك في صيف 1493، شن العثمانيون غارة عبر كرواتيا إلى كرانيولا وستيريا. وحوالي نفس الوقت، كانت الاشتباكات مستعرة في كرواتيا بين بيت فرانكوپان والبان الكرواتي، ولكن أبناء الهجوم العثماني أجبرتهم على إبرام سلام. جمع النبلاء الكروات جيشاً كبيراً واعترضوا القوات العثمانية التي كانت عائدة إلى سنجق البوسنة. التكتيكات الفاشلة واختيار ميدان مفتوح لقتال الفرسان العثمانيين الأكثر خبرة، أسفر عن هزيمة ساحقة للجيش الكرواتي. لم تكن هناك مكاسب إقليمية فورية للدولة العثمانية، ولكن في العقود التالية توسع العثمانيون تدريجياً في جنوب كرواتيا. بعد سقوط مملكة البوسنة في أيدي العثمانيين في 1463، توسع العثمانيون بسرعة باتجاه الغرب، مهددين الأجزاء الجنوبية والوسطى من مملكة كرواتيا. Since then, Ottoman raids were becoming more frequent. These raids were being carried out by the Akıncı, irregular light cavalry of the Ottoman Empire. They would ride into Christian territory and plunder the countryside during spring and summer, avoiding the fortified border towns and direct military conflict. These continuous raids forced the local population to abandon their land, leaving the frontier castles without supplies. أحد تلك الغارات بدأت في سبتمبر 1491، بعبور الفرسان العثمانيين نهر كوپا وبلوغهم كارنيولا. في طريق عودتهم، اعترضهم جيش البان الكرواتي لاديسلاڤ من إگرڤار والكونت Bernardin Frankopan near Udbina, and were defeated in the Battle of Vrpile. 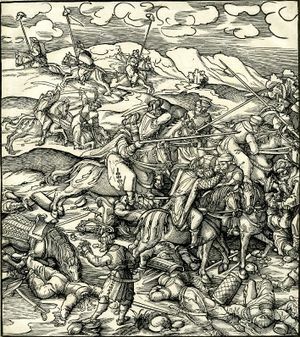 The defeat at Vrpile forced the Ottomans to stop their attacks during 1492. بعد أن أصبح يعقوب پاشا الخادم سنجق-باي سنجق البوسنة، عاود العثمانيون غاراتهم. In the summer of 1493, Hadım Yakup Pasha raised an army of 8,000 light cavalry (akıncı) and attacked Jajce, but failed to capture its fortress. From there he turned northwest and entered Carniola and Styria, plundering the countryside. The same year, a war broke out between the newly appointed Ban of Croatia, Emerik Derenčin (بالمجرية: Imre Derencsényi), and the Frankopans, allied with Karlo Kurjaković, for control over Senj and several other towns. By mid-July 1493, counts Bernardin Frankopan and Ivan VIII (Anž) Frankopan, had the upper hand in the war and were besieging Senj. 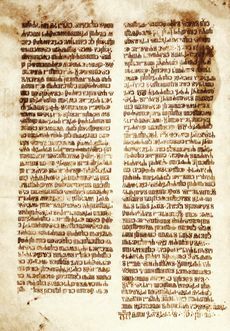 The siege was lifted after an army led by Ban Derenčin was sent to help Senj, and the Frankopan army retreated to Sokolac. In the meantime, the Frankopans were accused of cooperating with the Ottomans, although their estates were also being ravaged. News of the incoming Ottoman army forced them to make peace. On their way back, the Ottomans sacked Modruš, in northern Lika, then owned by the Frankopan noble family. The Frankopans and Ban Derenčin wanted to intercept the Ottomans, and gathered an army of around 3,000 cavalry and 8,000 infantry from all parts of Croatia, however a part of the army consisted of peasants from the surrounding areas of Krbava. They decided to face the Ottoman army in an open battle at Krbava field (near today's Udbina), in central Croatia, although Ivan Frankopan Cetinski considered an ambush in the canyons and straits to be a better option. 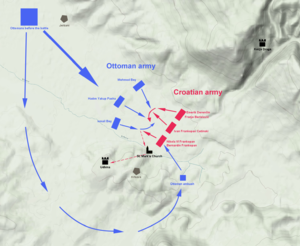 The Ottomans entered the Krbava field through the lowest and narrowest local mountain pass of Gorica, unlike two years earlier through the Vrpile pass where they suffered a huge defeat. Before the battle, Hadım Yakup Pasha ordered the execution of Christian captives near Jelšani (present-day Jošan) so that they could not help the Croatians in the midst of battle. 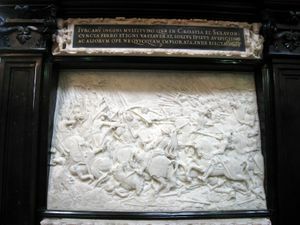 After a meeting with the commanders, he sent a part of his army, around 3,000 cavalrymen, to set up an ambush in the forest near the Krbava field.